A professional English-speaking guide for You all day long + Mercedes car with driver + entrance fees of Mt Vesuvius and Solfatara. Serapeum is free. 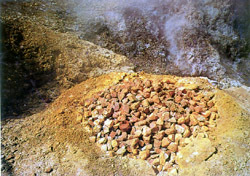 This is the typical geological tour in the area. 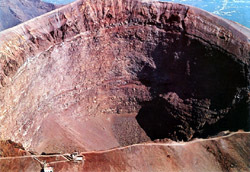 Vesuvius is the only volcano on the European mainland to have erupted within the last hundred years, although it is not currently erupting. 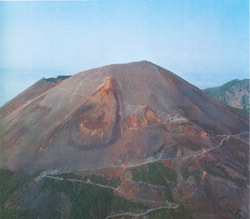 The two other major active volcanoes in Italy, Etna and Stromboli, are located on islands. 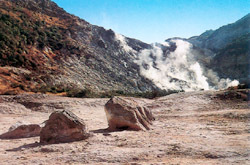 Solfatara is a dormant volcano, which still emits jets of steam with sulphurous fumes. 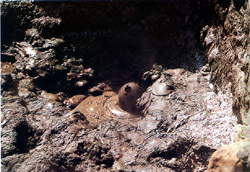 Its crater floor has many fumaroles and mud pools. The Serapeum is interesting for two reasons: firstly because it is one of the greatest surviving ancient monuments in terms of magnificence, elegance of decoration and precious materials,and secondly because it represents the most reliable evidence of the phenomenon of bradyseism in the area.